I never ever ever ever in a billion years thought I was going to be one of those people who played mobile app games. For the longest time, I wasn't. 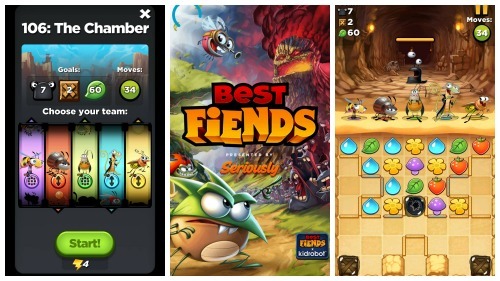 It hasn't been until recently (aka in the past month) where I've kinda sorta fallen in love with a few app games. Only 2 though! Best Fiends is a game I probably started playing about a month ago - and I'm currently on level 106. It feels a lot like candy crush - following the "get three in a row" and complete some goals theme. It's only a little different because you aren't actually moving the board pieces, your "linking" three in a row. So diagonal moves are possible and there are special pieces on the board that do special things. You also get creatures called "fiends" who each have their own special ability and can help or hurt you in your pursuits to complete each challenge. I honestly really enjoy it as a time waster while I'm waiting or if I'm sitting on break. Kills my battery though! 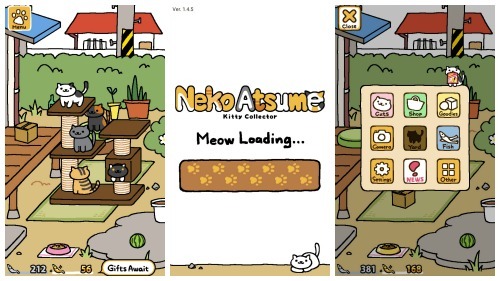 I WANNA COLLECT ALL THE CATS - pretty much Neko Atsume. Its a super simple concept - leave stuff out in your yard that cats may like - and then kitties from all over come and play on the cool stuff in the yard! The shop has 31 pages of stuff you can put in your yard - AND you can get a yard expansion. Its great for the crazy cat lady in all of us. P.S. Totally just got the yard upgrade, and Tubbs (the chunky cat) gave me his momento. I feel accomplished and even more addicted to this game.